It’s been talked about for years but it appears that a sequel to Blade Runner is now a reality. It was announced earlier this week that Alcon Entertainment, who acquired the franchise rights to Blade Runner earlier this year, are planning to bring a new film to the screen – and they’ve only gone and got Sir Ridley Scott on board. That’s what makes me so intrigued. 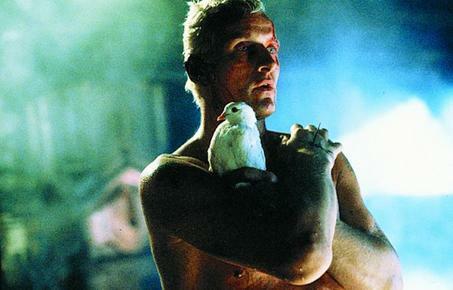 Blade Runner is clearly a labour of love for Scott; he has overseen numerous edits, even shooting new footage for the recent Final Cut, and has often spoken of his fondness for his third feature, released to disastrous box office in 1982 but since acknowledged, and quite rightly, as one of the most influential SF films of all time. Andrew Kosove, the producer in charge of the project / company spokesperson chatted to the LA Times about the news earlier this week and revealed that Sir Ridley’s involvement was down to Alcon Entertainment’s pitch. What concerns me is that Kosove hasn’t been too precise about the nature of this film – is it a sequel? Prequel? Thankfully Alcon have confirmed, according to the LA Times, that it “definitively won’t be a remake”. Phew. That’s something at least, right? This news does make Scott’s next film, Prometheus, a more intriguing project, being as it is a kind of Alien prequel. Will the new BR film be a similar concept? My prediction: expect William Monahan, whom Scott has worked with twice of late, to be involved at some point.